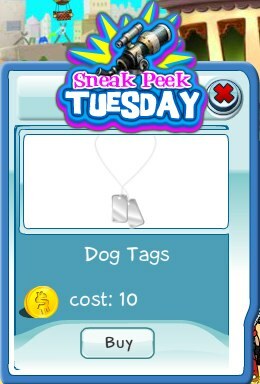 This week's Sneak Peek Tuesday item is the Dog Tags. 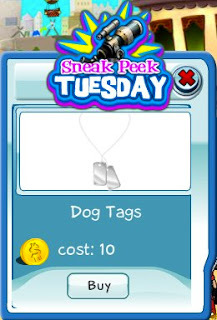 No these aren't for dogs, these are dog tags for you to wear in SecretBuilders. Get the sneak peek item today only!